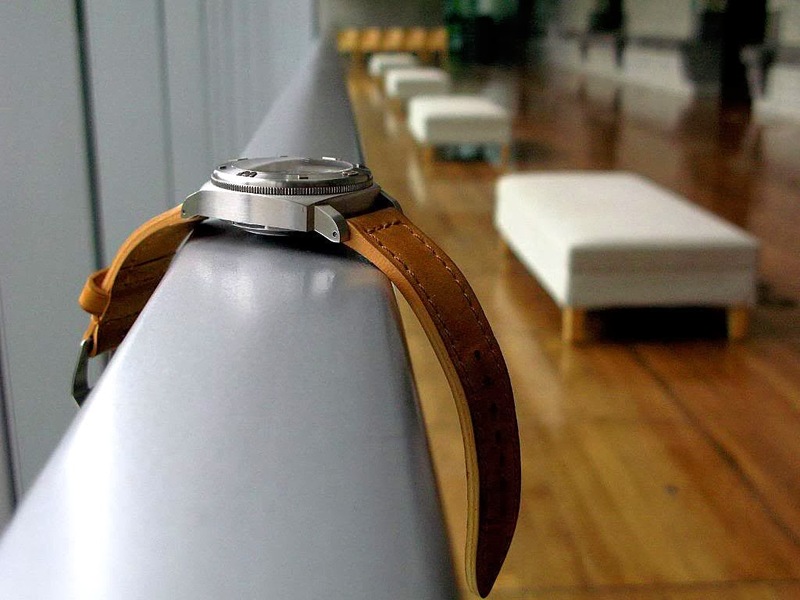 What is cooler than than wearing a really cool Panerai model? Wearing one that was made just for you, with your name on it. 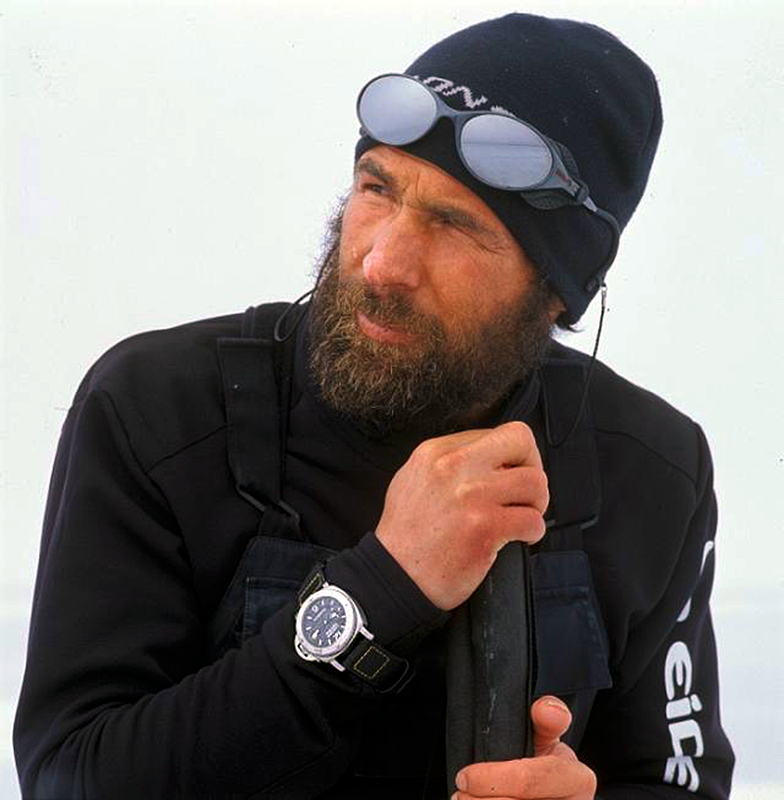 The Panerai Luminor Arktos GMT North Pole was a special limited edition Panerai made in 2006, and it was dedicated to a North Pole Expedition directed by Mike Horn. 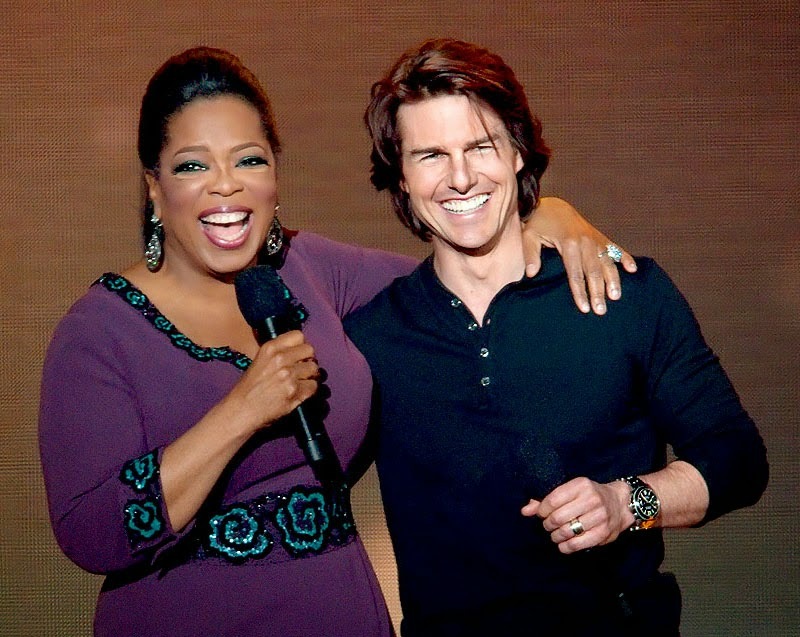 Back in May of 2011, after 4559 episodes, Oprah Winfrey celebrated the end of her Oprah Winfrey Show, and said farewell to her viewers with a cavalcade of famous stars including Tom Cruise. 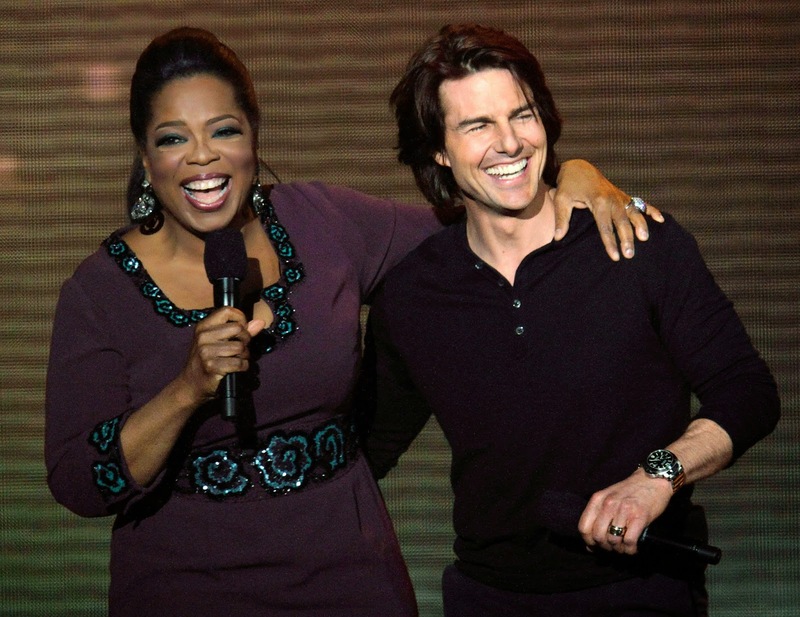 As you can see in the photo below, Tom Cruise is wearing his 44MM Panerai PAM 299. 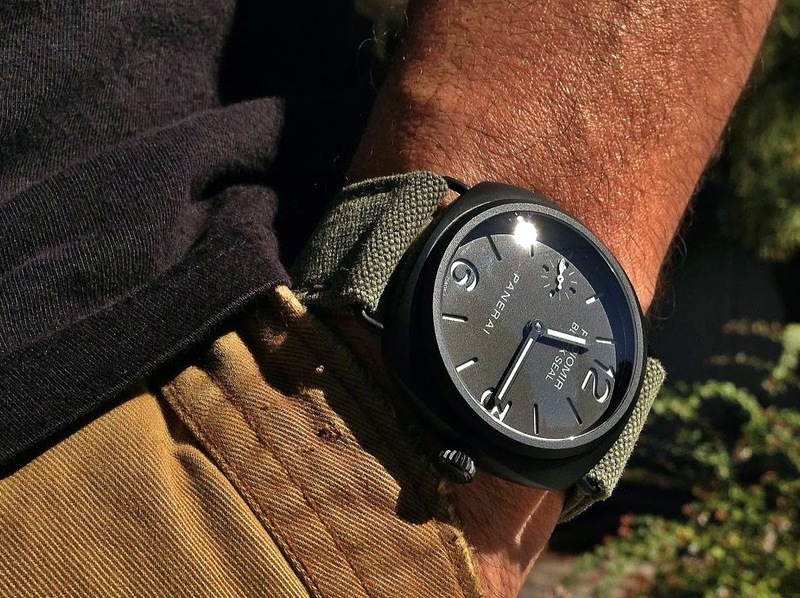 Andrew Boen took this wrist shot of his Panerai Radiomir Black Seal on a woven light olive strap, which is a great look. 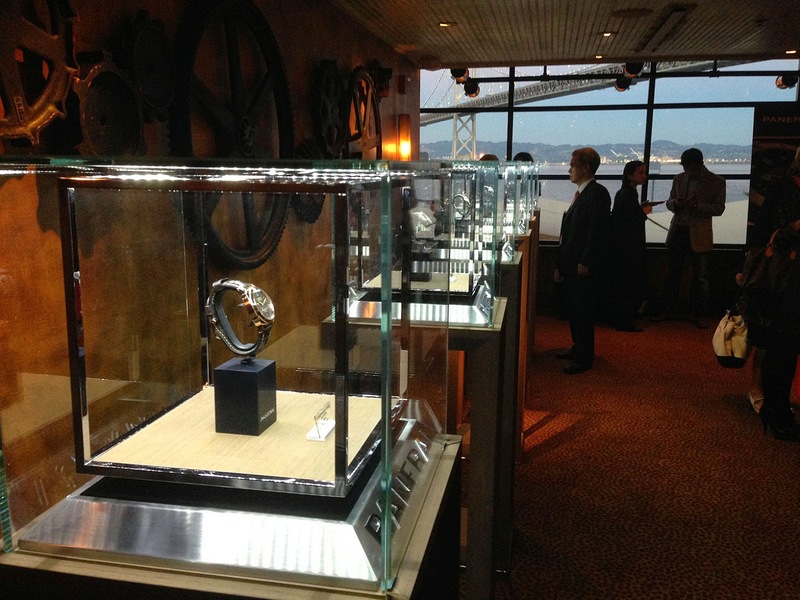 Shreeve & Company is the oldest Jewelry story in San Francisco, and I recently attended their Annual Panerai celebration party which was thrown at Epic Road House, which is located on the San Francisco Embarcadero. 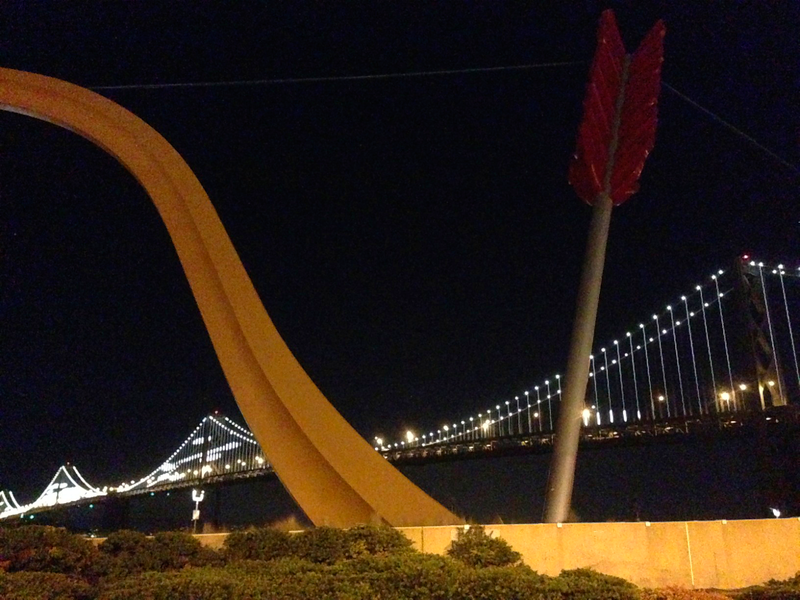 The Epic Road House is one of the most beautiful restaurants in San Francisco, and its views of the San Francisco Bay Bridge are breathtaking. 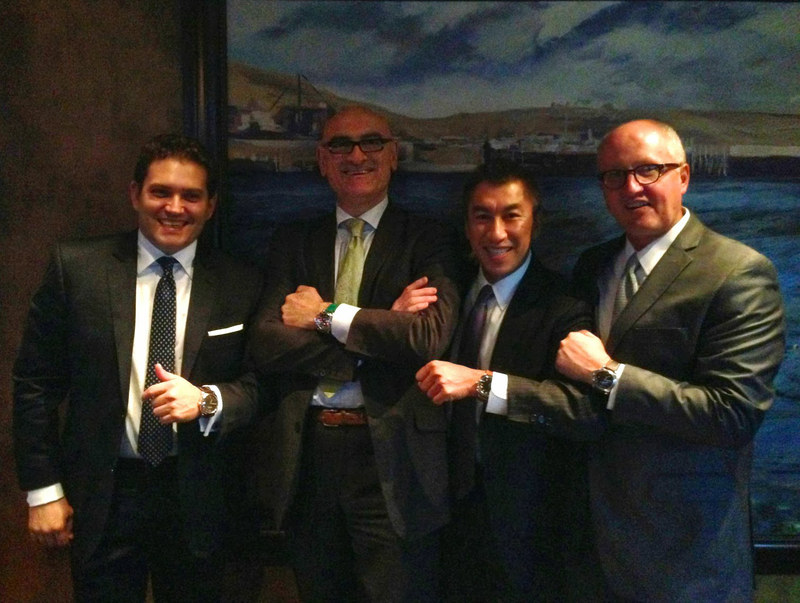 Panerai President, Rafael Alvarez attended the event and he is pictured above on the far left. Next we see a Alex Alesandrini from Shreeve & Company in San Francisco, next we see leading San Francisco dentist, Tom Jow, and pictured on the far right we see Panerai executive Karl Poulson. 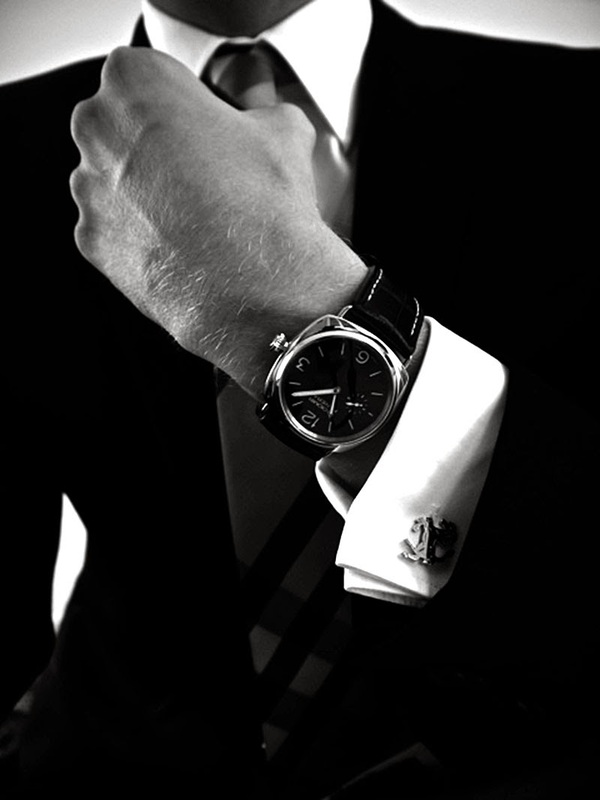 Tom owns an beautiful Limited Edition Panerai PAM00249 from 2006, which was the first limited edition Historic 47MM Panerai model made with an Art Deco California dial, and I asked him if I could check it out. 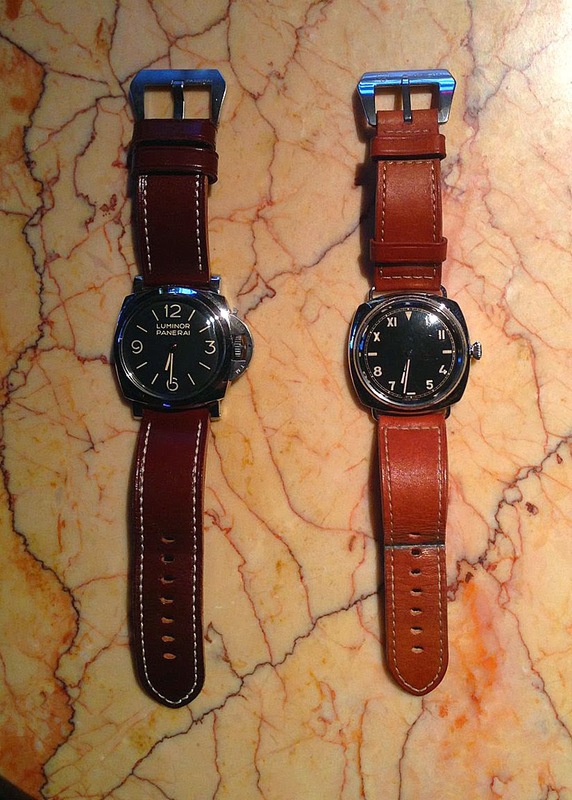 I mentioned I believed the PAM00249, and PAM00372 are not only my two favorite Panerai watches, but how, collectively they represent the best of Historic Panerai DNA. 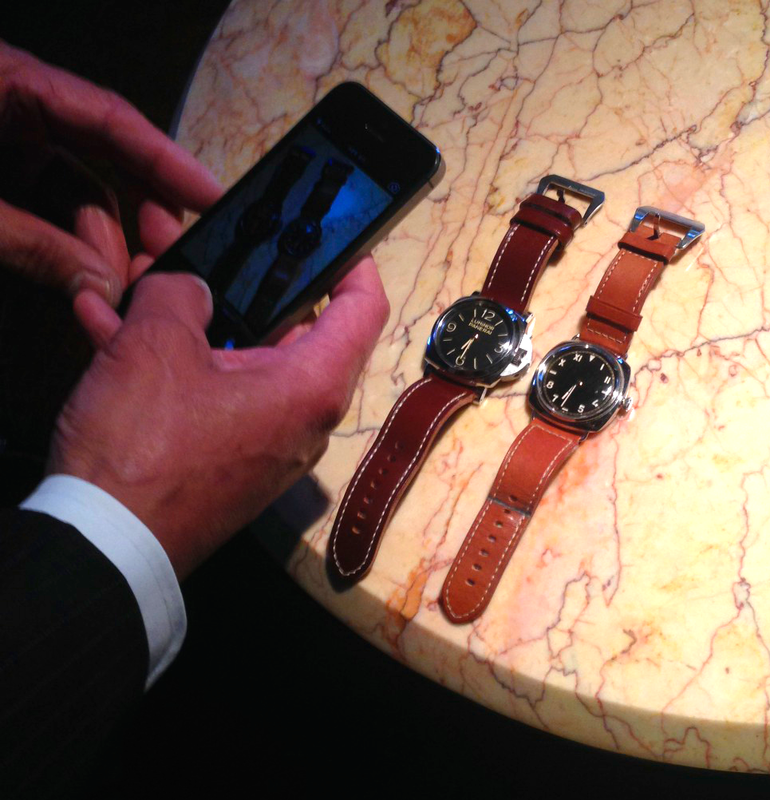 In the photo below we see Tom taking a photo of my PAM 372, next to his PAM 249 with his iPhone 5. I took this next photo of my PAM 372 next to Tom's PAM 249. 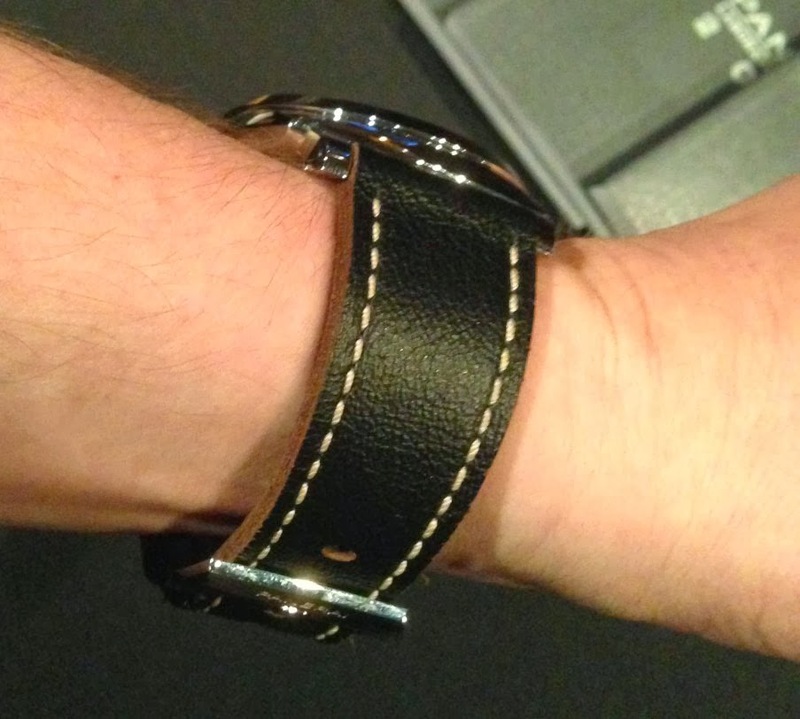 I tried on Tom's PAM 249, and I was surprised at how much smaller it seemed than my PAM 372. 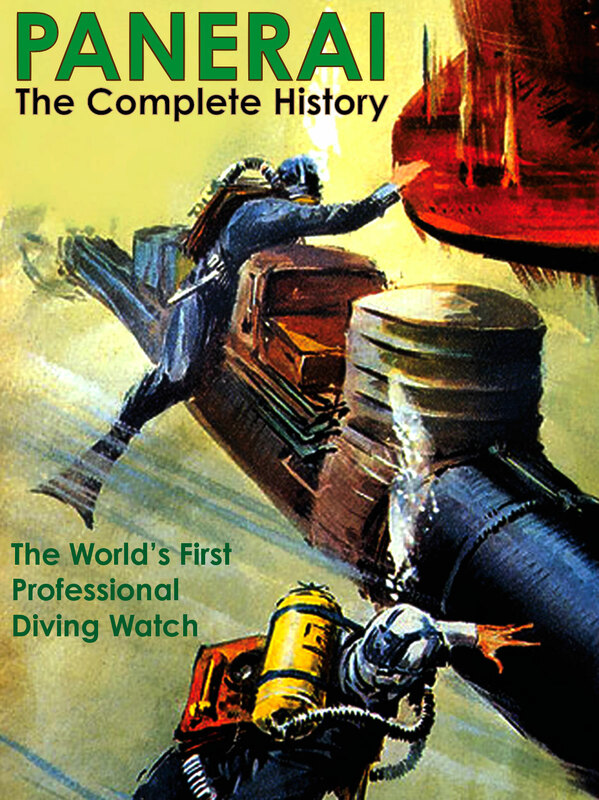 This is due to the fact the PAM 372 has standard lugs, and the PAM 249 has wire lugs. 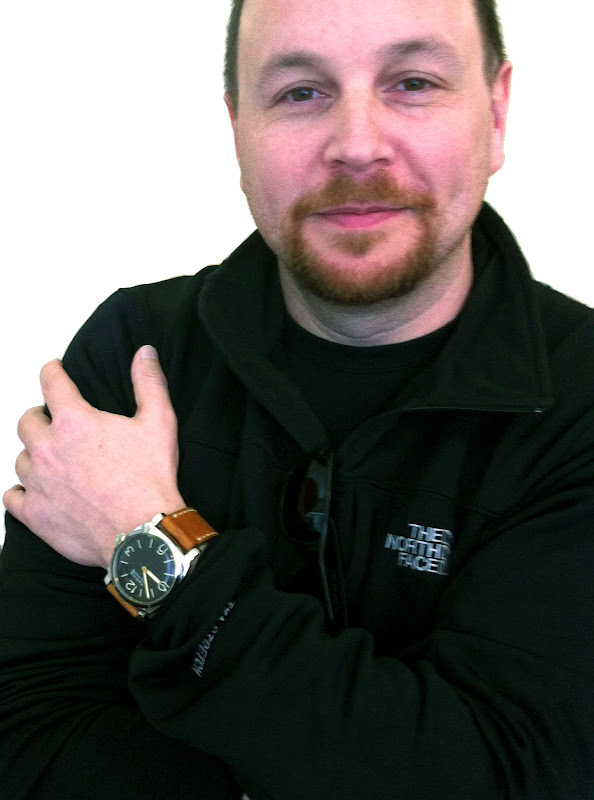 Tom held up the my PAM 372 and his PAM 249 so we could take front view profile shots, and you see the PAM 249 has a beautifully rounded domed crystal. Panerai setup these beautiful display cases at the event, which showcased a wide variety of amazing Panerai watches. 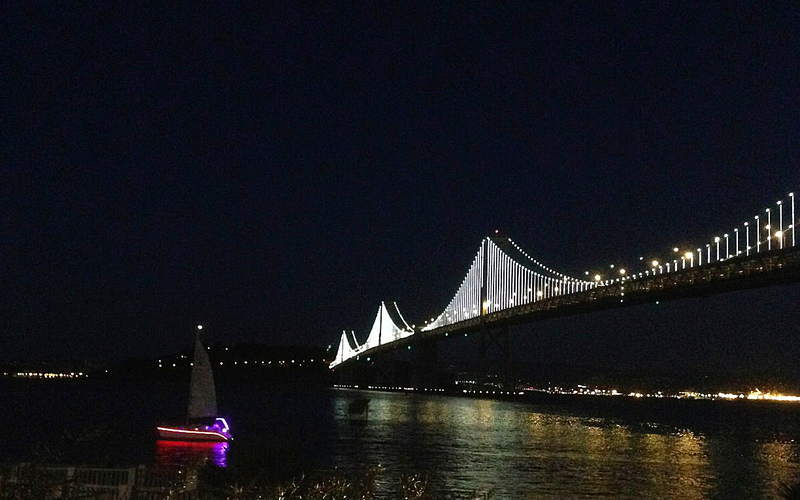 As I mentioned earlier, the Epic Road House Restraunt has a STUNNING view of the San Francisco Bay Bridge, out the window as seen below. 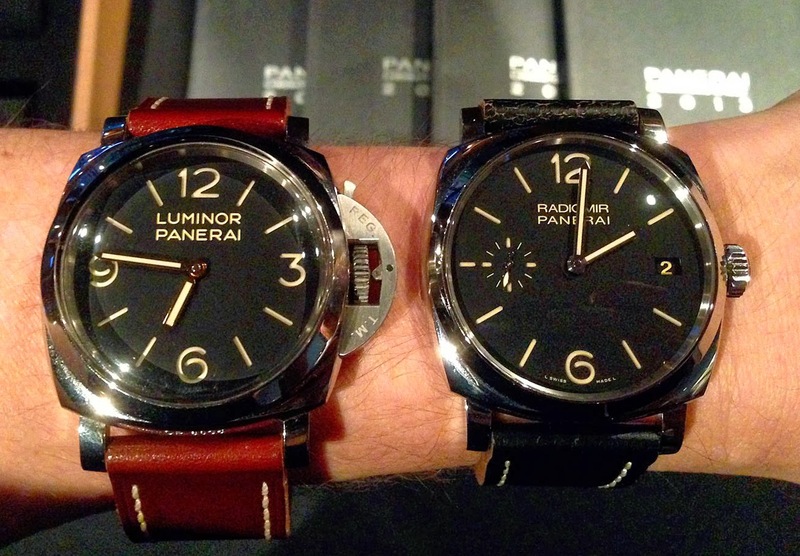 I had a chance to check out the new Panerai PAM 514, and in the photo below, we see it on my wrist being compared to my PAM372. I was surprised how much smaller the PAM 514 seemed next to the PAM 372. 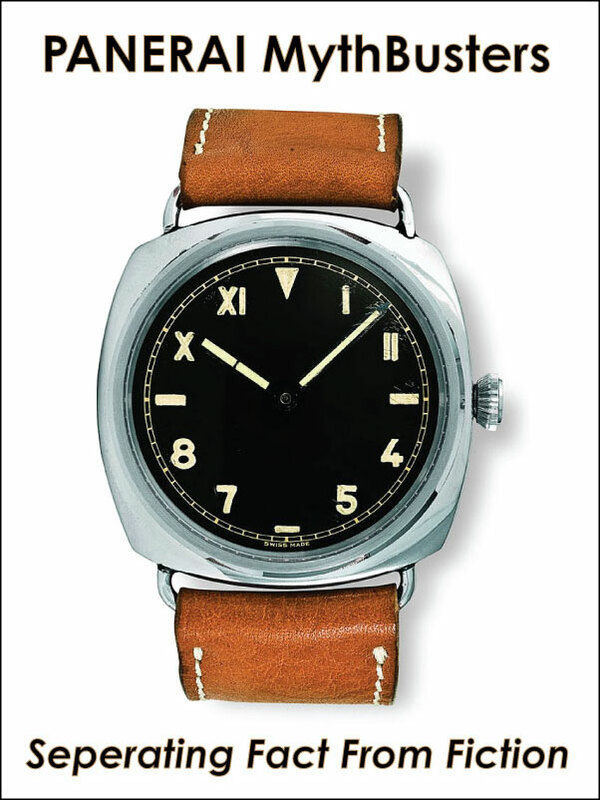 I believe this is because the PAM 372 is based upon the vintage Panerai 6152 and the PAM 514 is based upon the vintage Panerai Reference 6154. Of course, the PAM 372 also has the crown protector, which gives it a bigger look, and it also has a raised Plexiglass crystal, whereas the PAM 514 has a lower profile sapphire crystal. 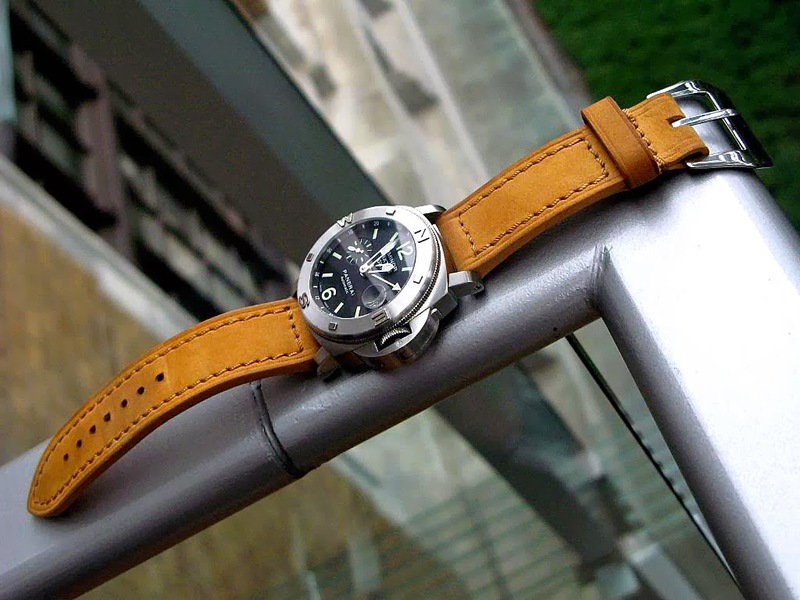 The Panerai PAM 514 (pictured below) also has a tapered 26 to 22 strap, which gives it a smaller, more dressy look. 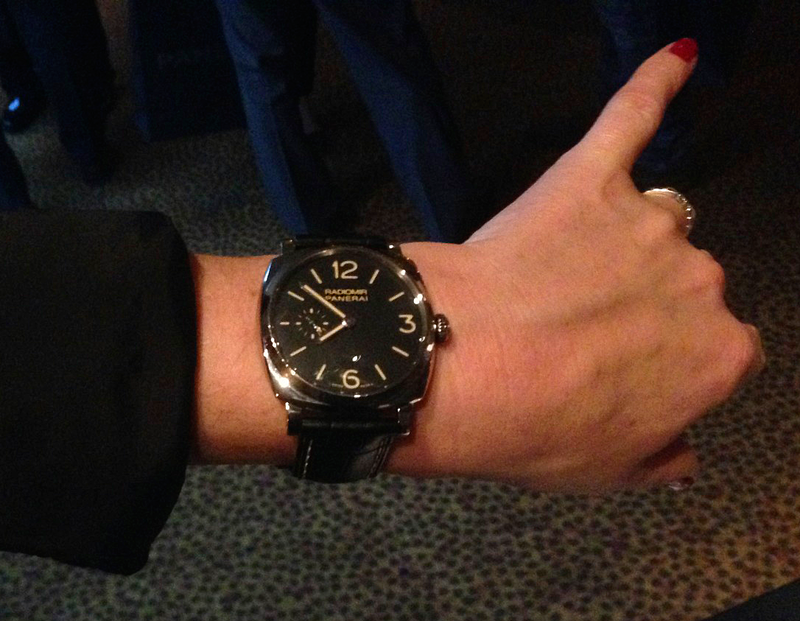 There was a man who attended the event who was wearing a Special Edition Panerai PAM 341 from 2009, which I had never seen before in person, and I was shocked at how enormous this monster was in person. 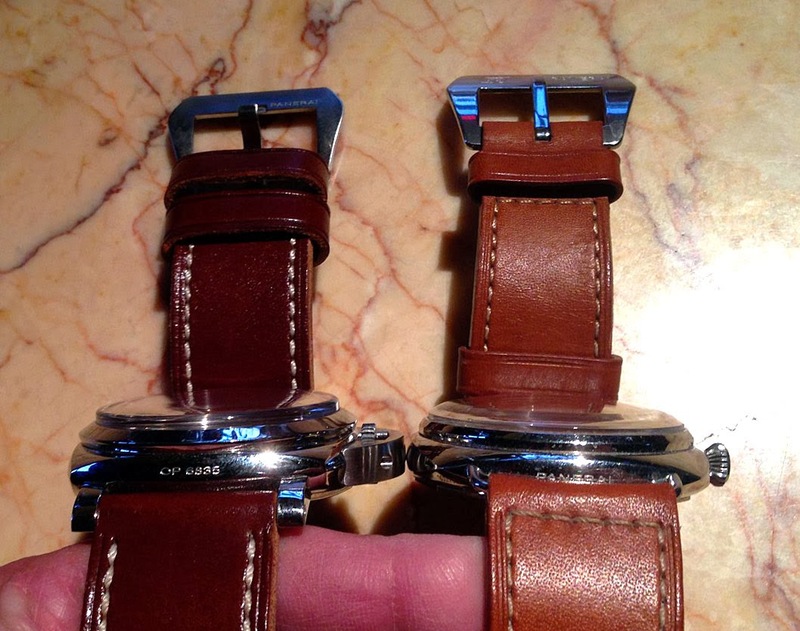 I knew it was 60MM, but I was stunned at how much larger is looked next to my PAM 372. Actually it makes my PAM 372 look small!?!?! 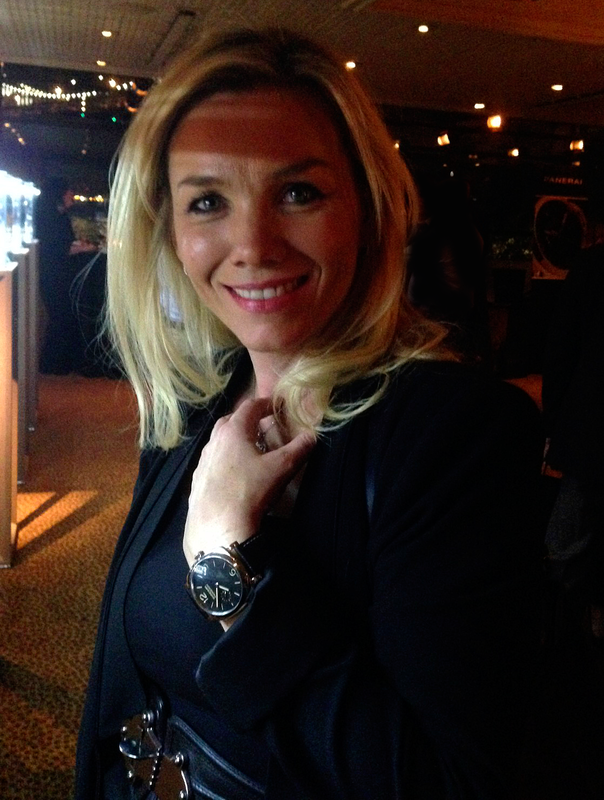 I ran into Swedish beauty, Lisa Kalbfleisch who is a Shreeve & Company sales associate at their Palo Alto store, and I noticed she was wearing the new 42MM Panerai PAM00512, which features the Historic 1940s Radiomir case. 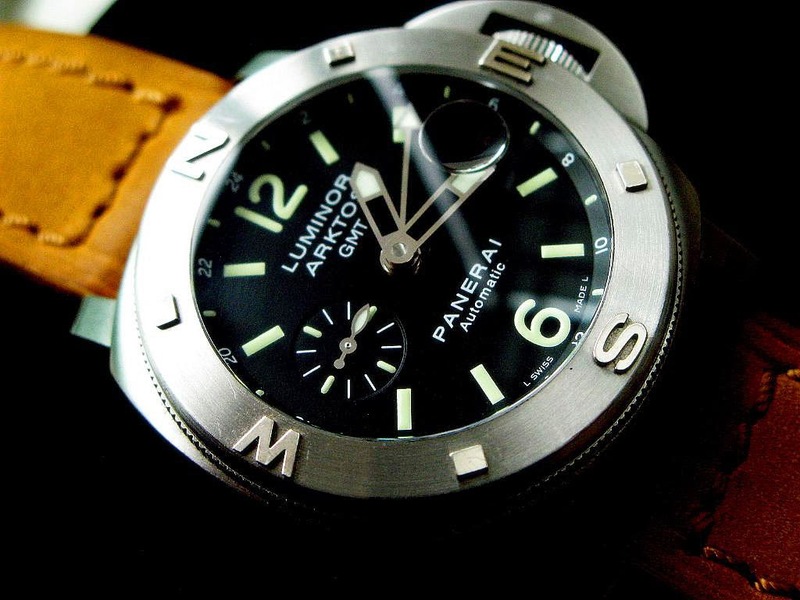 The Panerai PAM 512, is a specific example of Panerai design brilliance. 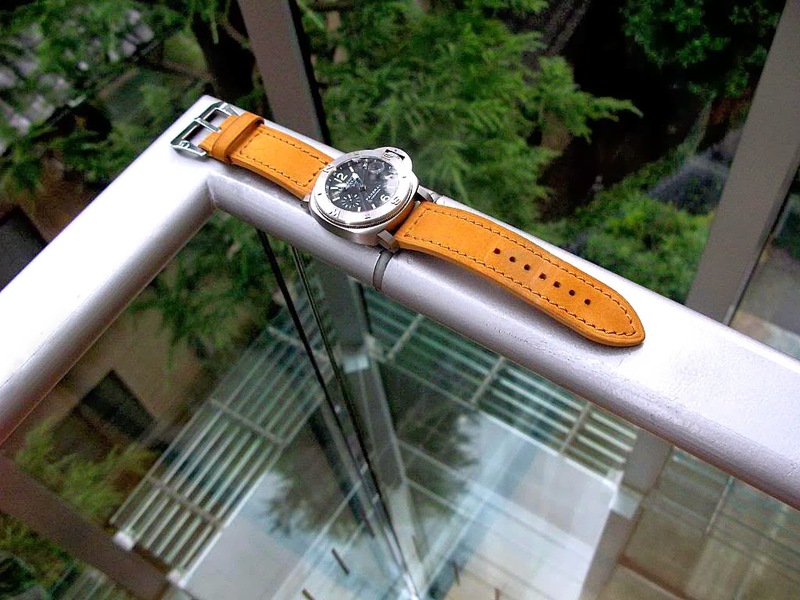 By making this model at 42MM it fits beautifully on women, even on petite women. In this next photo, we see the new limited edition Panerai PAM00507, which is made out of Brass. 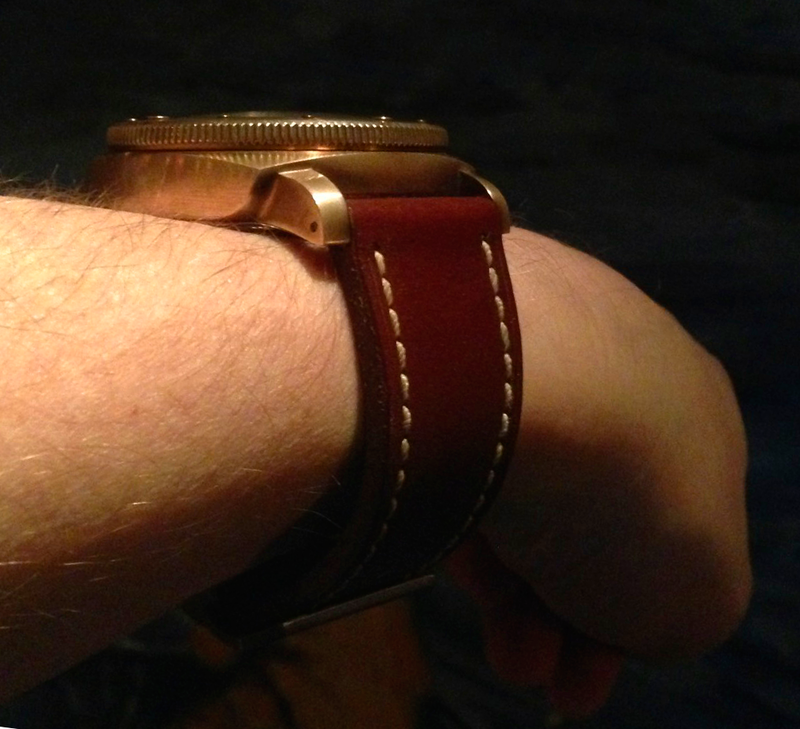 Part of the beauty of this watch is that since it is made out of Brass, instead of Gold, it is much more toned down, kind of like the new light gold iPhone 5. I took this next photo from the rear deck of the Epic Road House, and the view was absolutely stunning! 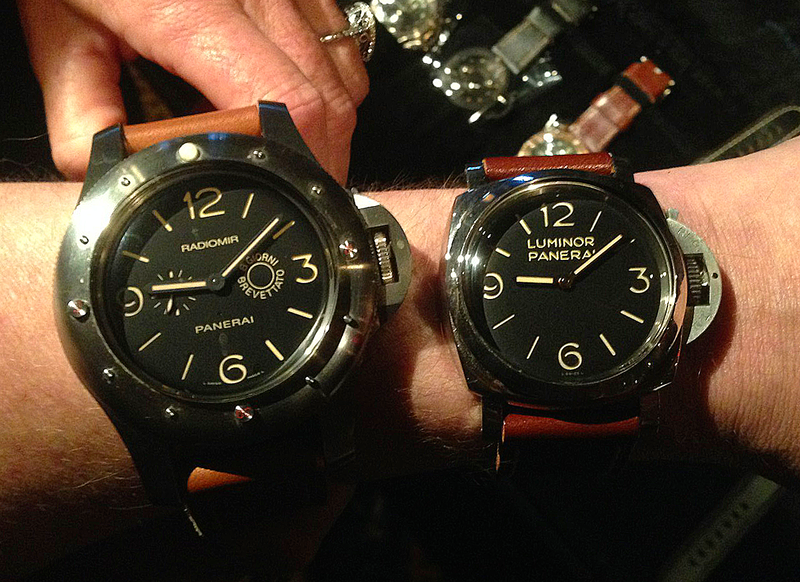 Overall the Panerai GTG was really fun and a beautiful party, with beautiful watches, and people in a beautiful venue. As I was walking away from the Epic Road House, I snapped this last image. Salma Hayek is an Academy Award winning actress, and certainly one of the most beautiful and elegant women alive. 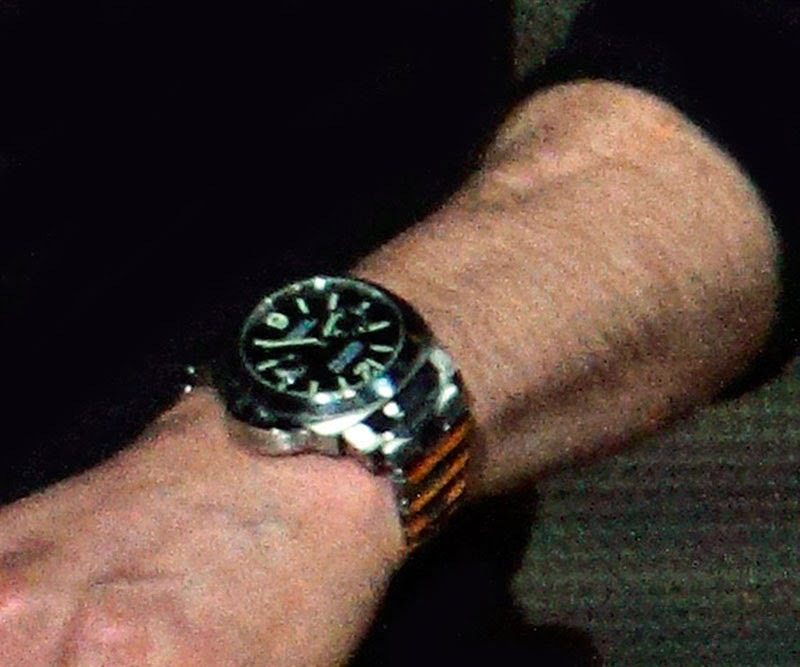 Salma Hayek co-starred along Pierce Brosnan in After The Sunset, which is one of the most famous movies where you see an actor rockin' a Panerai watch, as we can see in the photo below. 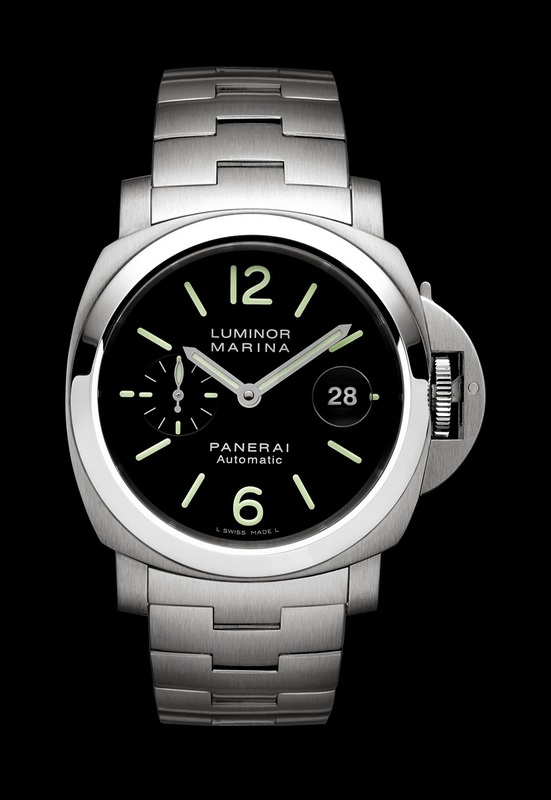 In real life, Salma Hayek wears a Luminor Panerai, as seen in the photo below. Women wearing men's Panerai watches is getting more and more popular these days, kind of like women wearing men's Rolex watches.